On September 28th, I was invited to a brief programme on the formal completion of the automation of the financial and operational processes of African Alliance Insurance Plc. In the boardroom of the company's Marina, Lagos headquarters, the senior management staff, led by the CEO, Funmi Omo, were ecstatic. Their collective hard work and that of the software provider, Simplex Business Solutions Limited, had paid off. African Alliance now looks ahead to leveraging its investment in the suite of software solutions. With the successful implementation by its joint team with Simplex, African Alliance looks forward to growing its businesses, serving its customers better, and generally improving the efficiency of its processes. As I shared in the expansive mood around me, a few questions were nevertheless probing my mind. “Why was the big project awarded to an indigenous IT firm?” I have been following the debate of the Nigerian local content policy for the ICT industry for some time now. Given that ICT is a global industry, the policy has attracted international commentaries. Last year I engaged in one of such discussions. Nigel Cory, a Trade Policy Analyst with the Washington DC-based Information Technology and Innovation Foundation, branded the Nigerian local content in ICT policy as “protectionist.” He argued that the protectionist measures are self-defeating, leading to lower productivity, anti-competition and higher prices for inferior products and services. So, I turned my question to Mrs. Omo. She first itemised the risks in foreign sourcing. High on that list is foreign currency risk. This magnified itself in Nigeria recently. From above $100 per barrel in H1 2014, oil prices fell precipitously to $30 a barrel in January 2016. After months of policy-resistance, the naira exchange rate depreciated sharply, from N199 to over N350 to the US dollar. What's more: a crippling dollar illiquidity also roiled the foreign exchange market for over a year. Incidentally, this period coincided with the implementation of the Integrated Business Solutions (IBS) that African Alliance sourced from Simplex. Even if a rival foreign ERP solution was purchased off-the-shelve, it was very likely that the implementation and support fees could have been impacted by the foreign exchange rate, raising the total cost of the project. However, African Alliance's choice of a solution provider was not simply driven by risk-avoidance. She said Simplex was chosen as their solution provider, also because of the degree of the customisation that the insurance giant required. Although African Alliance is essentially a life-insurance firm, it however operates other specialised businesses and subsidiaries. In 2005, African Alliance became the first licenced Takaful (Islamic Insurance) Operator in Nigeria, providing Sharia-compliant insurance and investment products based on the concepts of “Al-Mudarabah” and “Al-Tabarru”. Still, African Alliance owns a joint venture pension fund administration firm, a wholly-owned cargo airline, a restaurant and catering services company, an offshore life insurance company, apart from its many branches in Nigeria. The financial and operational records and processes of all these businesses are to be consolidated by the IBS system. Simplex had developed the various modules of the integrated systems over the years. These modules include general ledger, fixed asset, multiplan (individual life), grouplan (group life), takaful, and investment. They have been in use by some of the most demanding firms in Nigeria and offshore. In effect, and as Mrs. Omo confirmed, Simplex was not merely chosen because it is an indigenous service provider. Its marketplace reputation had recommended its solutions. And the sense of satisfaction shared by African Alliance with the successful implementation of the software solutions came, in actual fact, after the initial scepticism of considering an indigenous provider. I then turned my other enquiries to Wisdom Phillips, Assistant General Manager and head of Information Technology at African Alliance. I wanted to know his comparative analysis of Simplex IBS, relative to other foreign solutions he has user-familiarity with. He believes the system is comparable to any ERP solutions out there that enables an organisation to manage its operations across its businesses. He said the IBS is integrating an e-payment solution that would extend the system's uses, enabling instant execution of insurance purchase and renewal decisions across many devices. Any further enquiry I had was on how Femi Adeniyi, CEO of Simplex Business Solutions, envisioned such a high-utility system. As I learnt from his response, he was basically motivated by his long-term inclination to make things better. When years ago, he was acquainted with the cumbersome processes and the pile of papers involved in keeping financial and operational records at an insurance company, he decided to simplify the processes and make life easier for those involved. From initially developing an insurance software, Simplex IBS now encompasses 19 business solutions, which can work independently or integrated. The system, either in modules or as a whole, now enjoys expanded clientele in the insurance, asset management, leasing and pension industries, both locally and in offshore markets. I left the event with the impression that while the local content policy is relevant to the development of the ICT sector in Nigeria, it is no guarantee of success for indigenous IT firms. Like Simplex, Nigerian firms must innovate, deliver real solutions and develop good marketplace reputation to succeed. Nothing about that undercuts market competition. 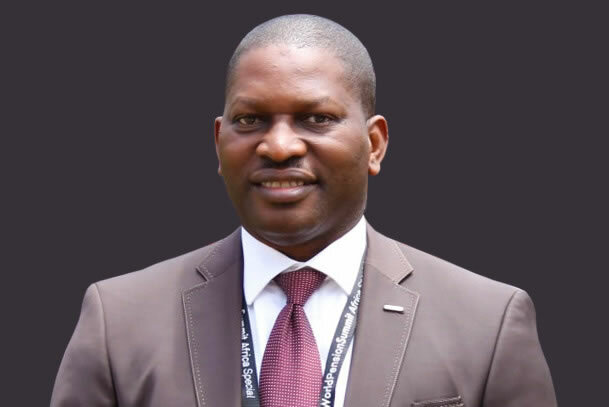 Jide Akintunde is Managing Editor, Financial Nigeria. He is also Director, Nigeria Development and Finance Forum.